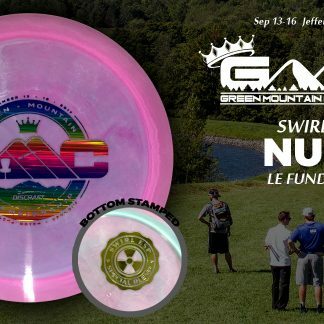 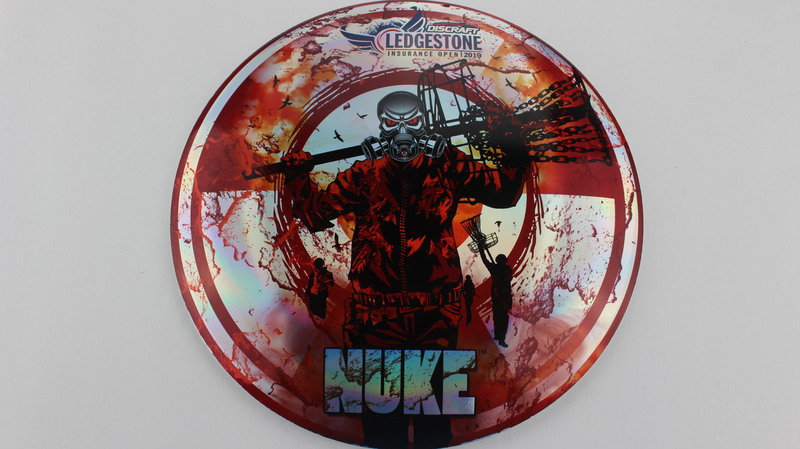 Nuke – This is one of the longest flying discs on the market! 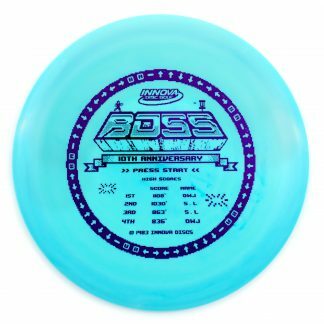 The Nuke is definitely the most popular Driver in the Discraft lineup. 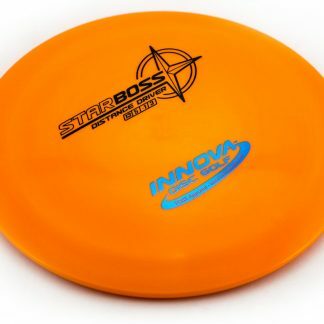 It has a very comfortable thick rim and booms! 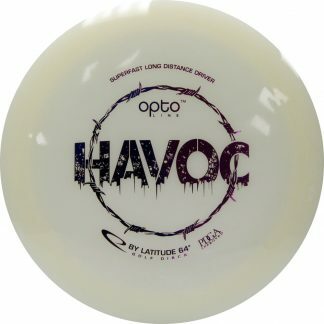 If you’re looking to add distance to your drive and haven’t tried the Nuke or any of the Nuke lineup (Nuke, Nuke SS, Nuke OS), then give one a go! 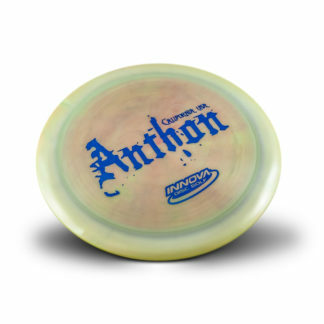 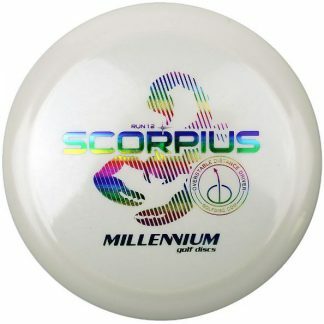 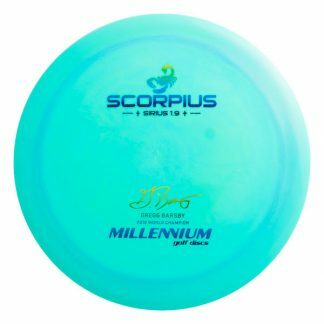 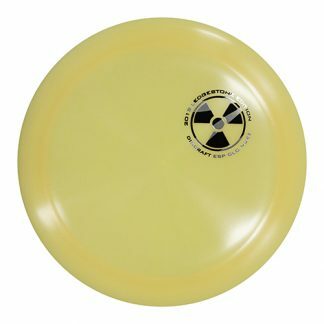 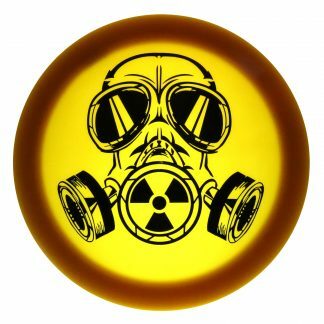 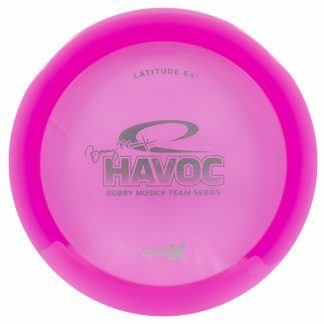 Very popular for a reason, the Nuke is a go-to for many a Discraft thrower. 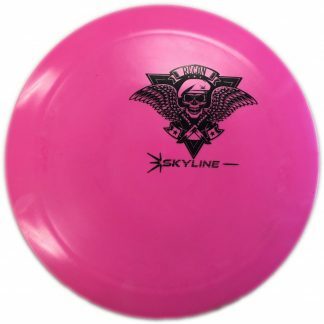 Available in a very wide selection of plastic blends, there’s sure to be one that suits you. 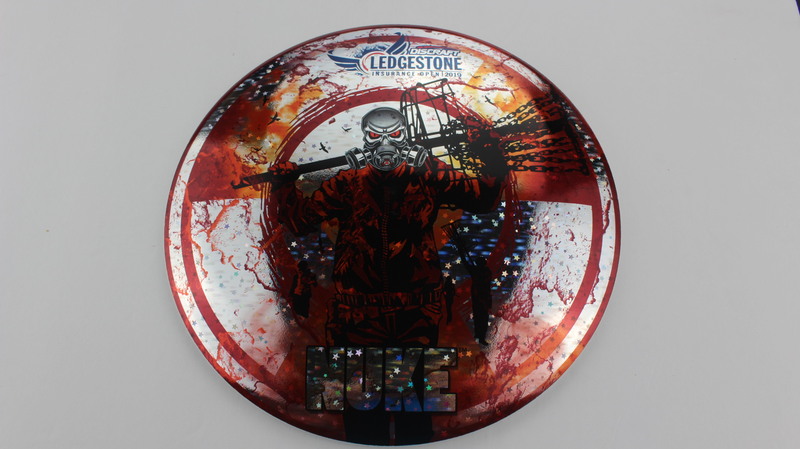 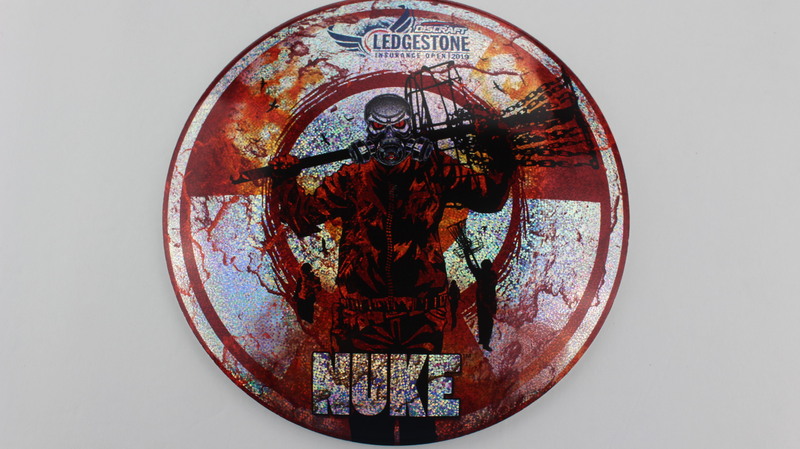 These full color Nuke’s all have a sweet stamp with the Ledgestone Open insignia.